Do you think the number of installs indicates an app’s success? Well, to some extent, it certainly does. But are you sure just because someone installed your app, they are enjoying it, too? App downloads definitely propel your app to success but don’t define it. The key lies in app usage – on people who actually use the app, after downloading it. But how do you gauge that? Enter engagement metrics – KPIs that help you measure the true extent of your app’s success and help you define clear goals and areas of improvement. Indeed, the success of a mobile app marketing campaign depends on the KPIs and the metrics that are used to determine the level of achievement of these KPIs. It is also true that the KPIs differ from industry to industry – as the marketing objectives of an e-commerce platform will be different from that of a gaming app. Are you still caught up in measuring vanity metrics that leave you happy, but present a foggy picture? In that case, to be truly successful, you must start measuring engagement KPIs that will help you optimize your app effectively to generate more revenue. To help business owners gain a better understanding of the relevant KPIs for their industry vertical, Dot Com Infoway is organising an in-depth seminar on the topic, “Beyond Installs – Mobile App Marketing KPIs and Metrics” on 2nd November 2017 from 07:00 PM to 07.30 PM IST. 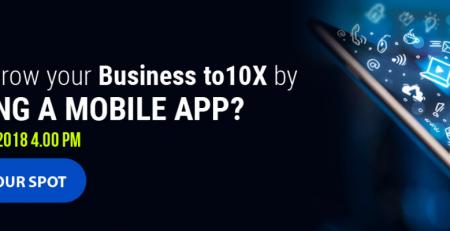 Ask any successful mobile app business and they would tell you that developing a winning business goes beyond app installs and even measuring KPIs. What is most important is to find out the relevant KPIs to evaluate and the most effective ways to measure them. Why app installs are not the only KPI? How to identify your Hidden KPIs you’re missing? The webinar will educate participants on the importance of moving beyond app installs to understand the actual performance of the app, enabling them to optimize better. It will be presented by Raja Manoharan, Head of Mobile Marketing at Dot Com Infoway. Raja has over a decade of Internet and Mobile marketing experience. Along with his highly acclaimed team, he has successfully promoted hundreds of mobile apps for developers globally. Apart from designing effective marketing strategies, Raja helps his clients understand their target market to develop a holistic marketing plan right from the pre-launch stage to user acquisition and engagement. Participants will gain extensively from Raja’s insightful experience and in-depth knowledge, helping them understand and leverage engagement metrics for increased revenue. In addition to app installs, metrics such as usage, lifetime value, session length, retention rate and average revenue per user can give you key insights into your app’s performance. However, in order to gain from analytics, you must define the KPIs that are most essential for your business, in order to track only the most valuable data that will help you improve your app’s performance and generate more revenue, in turn.